We believe that healthy communities and a healthy environment are critical to the health and wellness of every person. That’s why we’re raising the bar on environmental responsibility through our Environmental Stewardship program. Anchored in the community benefit work our teams participate in, these efforts help us advance our mission and our vision for total health. 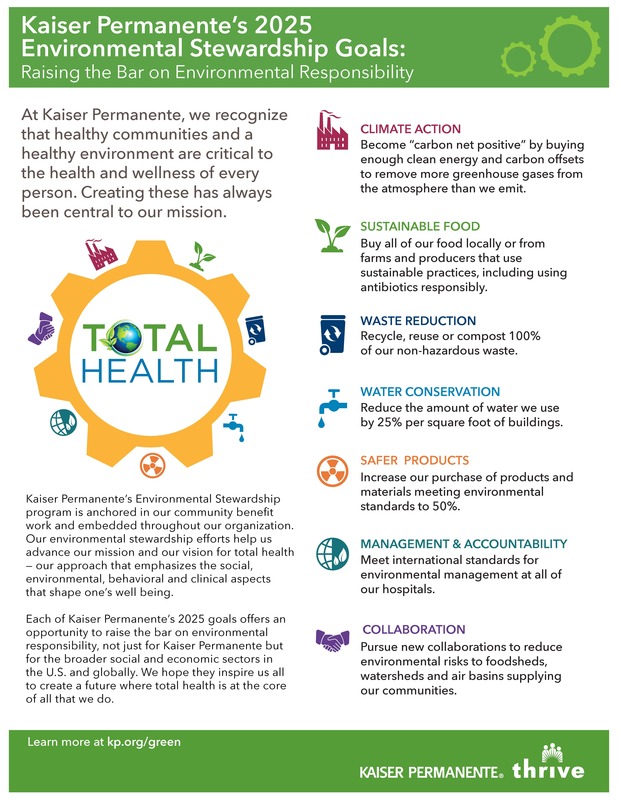 Through our seven environmental stewardship goals below, we will work together to create a future where total health is at the core of all that we do. Ready to join an organization that is dedicated to making communities healthier? Help us achieve our goals by joining our team! Explore our current openings to find one that speaks to you. You can learn more about our commitment to environmental stewardship here.